Hi Daraka! Your Christmas farmhouse mantel is gorgeous! I love all the vintage touches, especially the vintage mirrors and the old family photo. So happy to be hopping with you! I love your mantel! I am a sucker for anything vintage!! Thanks for sharing! I love everything about your mantel. The wood letters on the stockings are so cute! It was fun touring with you this week! Pinning ! This is very beautifully styled! Nice job and we had such a fun time hopping with you! Merry Christmas. Your mantel is beautiful, Daraka! 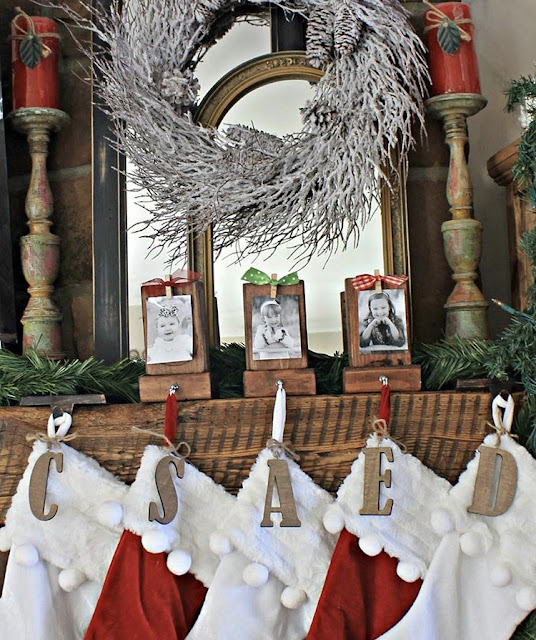 The candlesticks, mirror, greenery and antlers all make for a cozy and festive display! Thanks so much for joining me again; loved having you!